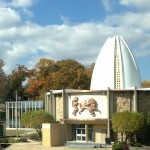 Home » Interests » History » Ohio’s presidential libraries and museums: A historic vacation! 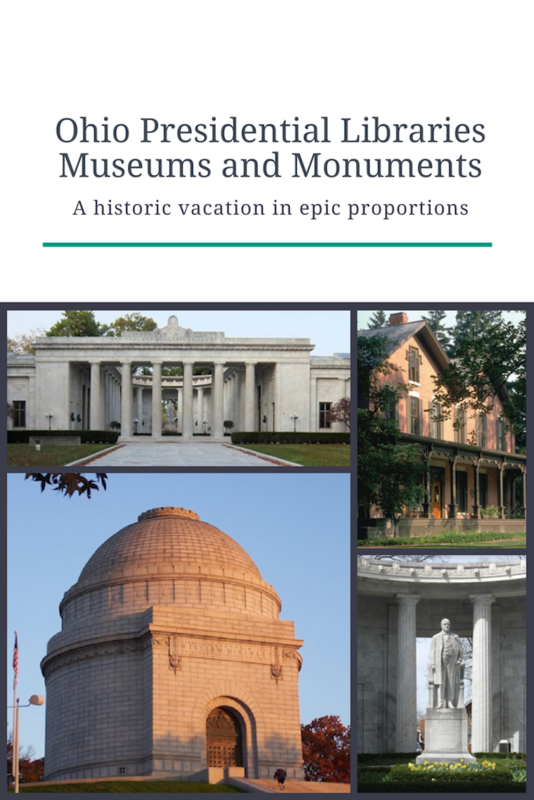 Ohio’s presidential libraries and museums: A historic vacation! Did you know that seven U.S. presidents were born in Ohio? And eight claimed it as home! All those presidents means you’ll find lots of presidential libraries, museums and monuments in the Buckeye state. The National First Ladies Library is even located in Canton, Ohio. With so much presidential and United States history preserved here, Ohio is a can’t miss state for history themed vacations. Check out this impressive list of presidential libraries, museums, monuments and sites! Photo Credit: McKinley Museum. Used with permission. The McKinley Presidential Library and Museum, in Canton, inspires kids to learn about our 25th president through play. In the interactive science center, displays engage visitors as they learn about the past, present, and future. 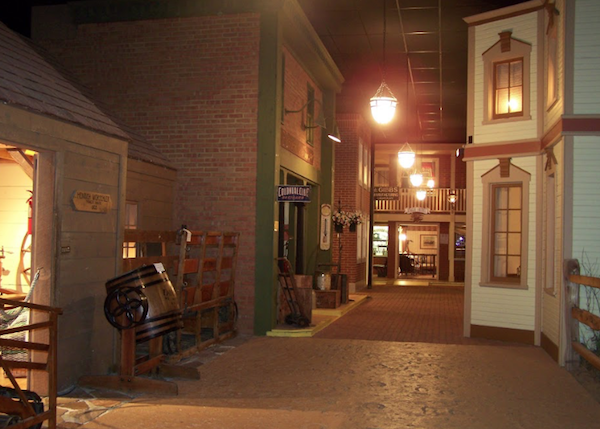 In the Street of Shops, families can travel back in time as they wander through a replica historic town. 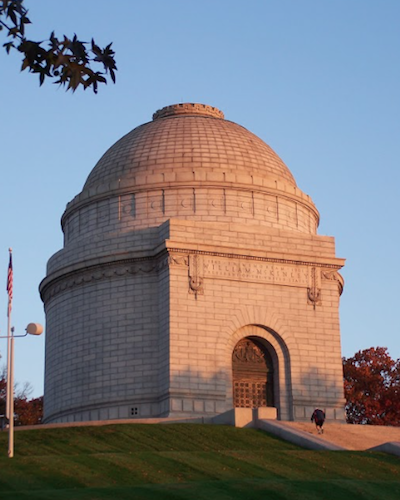 The McKinley Gallery focuses on the life and times of President William McKinley. If you’re feeling up to it, bring your running shoes and “run the monument” like the locals! Photo Credit: National McKinley Birthplace Memorial. Used with permission. 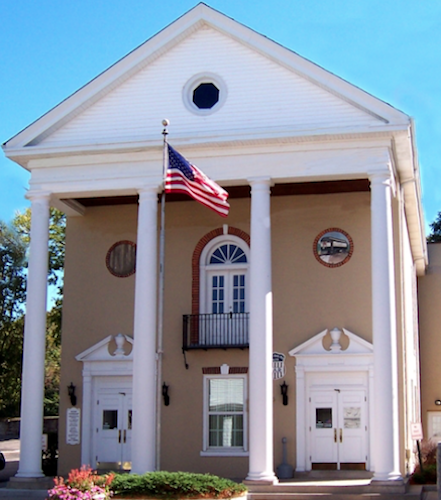 The town of Niles also has a museum dedicated to our 25th President, the National McKinley Birthplace Memorial. This museum features “memorabilia from the Civil and Spanish American wars, objects from McKinley’s campaigns and presidencies and from the building of the memorial.” McKinley’s birthplace home is also open for tours, so don’t forget to stop by there! The National First Ladies Library is located not far from the McKinley Presidential Library and Museum in Canton. Here, visitors learn about the first ladies of our country, from Martha Washington to Michelle Obama. The attraction starts off at the National First Ladies’ Library Education and Research Center, where exhibits rotate to showcase different first ladies. The attraction then moves to the Saxton-McKinley house, a Victorian era house that has been restored to its original glory featuring memorabilia from the McKinley family as well as other first ladies. Fun fact: The Hayes Presidential Library & Museums started the tradition of presidential libraries in the United States! That’s a pretty awesome legacy to our 19th president. A trip to this location provides opportunities to explore the presidential library, the museum, the Hayes’ 31-room Victorian home, the Hayes’ tombs, and walking trails. Learn about Rutherford and Lucy Hayes in museum exhibits that feature family artifacts. A well known history buff, President Hayes contributed to the museum by collecting historical artifacts and saving his many letters, diaries, and other documents. Through these personal documents, visitors can connect to the Hayes family and better understand the period in which they lived. 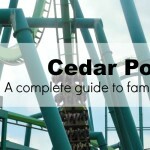 Trip tip: If you’d like to explore Delaware, Ohio, the town where Hayes was born, check this out. The Taft Museum of Art is located in a historic home considered to be among the finest examples of federal architecture in the Palladian style anywhere in the United States. Fans of architecture will enjoy the setting (and understand this description!). Inside the house, visitors can explore the Taft’s extensive art collections, also considered among the best in the United States. Budget tip: Museum admission is free on Sundays! 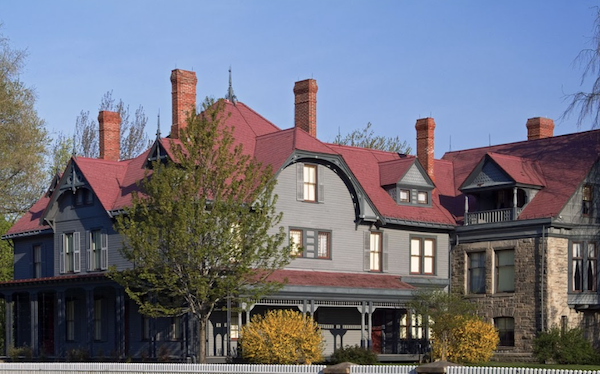 Visit the James A. Garfield Home to discover the life of our 20th president. Garfield’s family home houses this museum that illustrates his life, from his days as a canal boy to his time in office. The tour begins on the front porch, where Garfield greeted well-wishers during his presidential campaign. 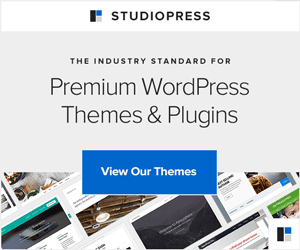 Take a guided tour. If you prefer, cell phone tours of the house and grounds take guests through the farm, house and other features, including his contribution to the legacy of presidential libraries. Though president for only 200 days (he was assassinated), the presidential museum and library bring Civil War era history to life. 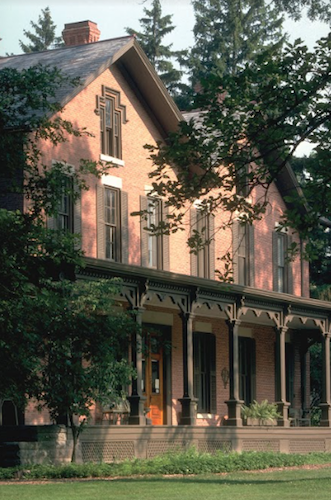 Located on the banks of the Ohio River, the Grant Birthplace offers visitors a chance to explore the birthplace of the Civil War hero and two-term president, Ulysses S. Grant. It’s hard to believe this military giant was born in a humble, one room cottage. But, the most famous Civil War era leader, President Abraham Lincoln, came from humble beginnings too. Did you know: Grant’s birthplace traveled the United States by rail car and stood as an exhibit at the Ohio State Fairgrounds before finally returning home? Each April, visit on the last weekend of the month to celebrate Grant’s birthday. 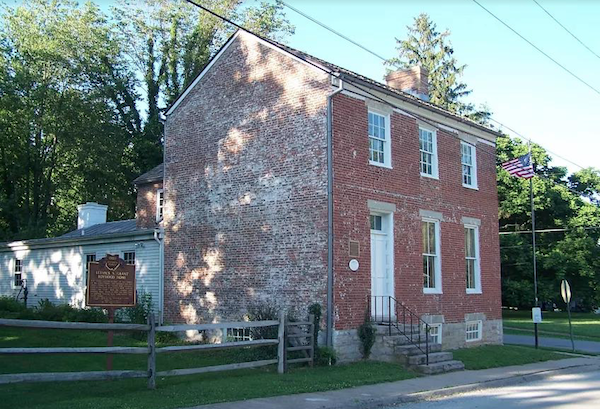 Ulysses S. Grant may have been born in a one room cottage, but his father worked hard to provide for the family and moved them to a larger brick home in nearby Georgetown, Ohio when Grant was quite young. A number of festivals and events throughout the year enrich your visit. Celebrate Grant’s birthday in April. Learn about the Civil War through living history re-enactments and other fun, yet educational, interactive experience at the Mason Patriot Fair each September. See the website to learn more about these events and others offered throughout the year. As our 29th president, the Harding presidency was embroiled in controversy despite a landslide victory. Throughout his presidency, he battled within himself to balance his responsibility to the nation against his allegiance to the “friends” who got him there. Visit the Warren G. Harding Presidential Site where more than 5,000 pieces have been collected, including 300 items from his time in the White House. The Harding Home & Memorial are housed in two buildings: the Harding Home, which you can tour, and the Press House, which currently houses the presidential museum. NOTE: The new Harding Presidential Library is under construction. At the same time, the home and the Press House will also be restored to what they were in 1920. The Press House may be the most fascinating piece on the property — built from a kit in just two days specifically to run the presidential campaign. Harding and his wife, Florence, are buried on the grounds. William Henry Harrison, our 9th president, lived much of his life in southwestern Ohio, where he played an important role in the expansion of the Northwest Territories. Though born in Virginia, Harrison requested burial in North Bend, on a site overlooking the Ohio River where Ohio, Kentucky and Indiana come together. I wonder if this is because he considered his role in early United States’ expansion to be among his greatest achievements. Allow about an hour to visit William Henry Harrison Tomb. As the birthplace of seven U.S. presidents, Ohio is second only to Virginia for the “most presidents” honor. They come from diverse backgrounds. But, they all served our country and made a lasting impact — especially in the turbulent times from the mid-1800s through the early 1900s. Include visits to these presidential libraries, museums and monuments on your Ohio vacation to gain an appreciation for history you just can’t get in a book.